Burning leaves is a lot easier than having to rake them—but every municipality has its own rules and regulations for doing it. Read on to learn about the dangers associated with burning leaves and the safety tips you should follow. Just when you think you’re done raking leaves, one gust of wind can scatter your piles, shake your trees, and make more work. 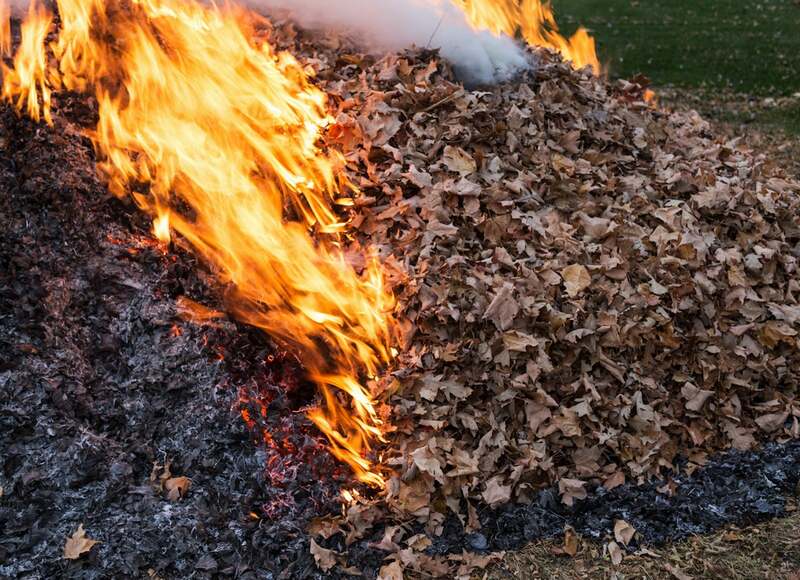 Burning these leaves might be less back-breaking work than bagging them or composting but, before you light a match, understand the rules and risks. Opt for a more contained method of burning using a large metal drum known as a burn barrel with a lid. Or, conduct the open burning somewhere on your property that’s at least 50 feet from the nearest houses and with good overhead clearance. Limit your pile’s size to no more than 4 feet in diameter by 4 feet tall, and only burn dry leaves, because wet ones produce more smoke.